Going into my research on fully automated and autonomous bee swarms, I was aware that there was much controversy on how we as a society should address and work to solve the problem of the drastically declining honeybee population. Upon coming across the large initiative that a team at Harvard University is spearheading, I was interested whether robotic bees are the future of agriculture and moreover part of the tidal wave of automation. Understanding the contribution honey bees provide to the ecosystem and humans sets the parameters for the Robobee project at Harvard University. Honeybees are known as a keystone species; they are organisms that play a disproportionate role in an ecosystem relative to their population size. According to a study done by Yale University, one third of crops are directly dependent on the pollination of honey bees . This number does not even account for the crops that are indirectly aided by bee pollination. 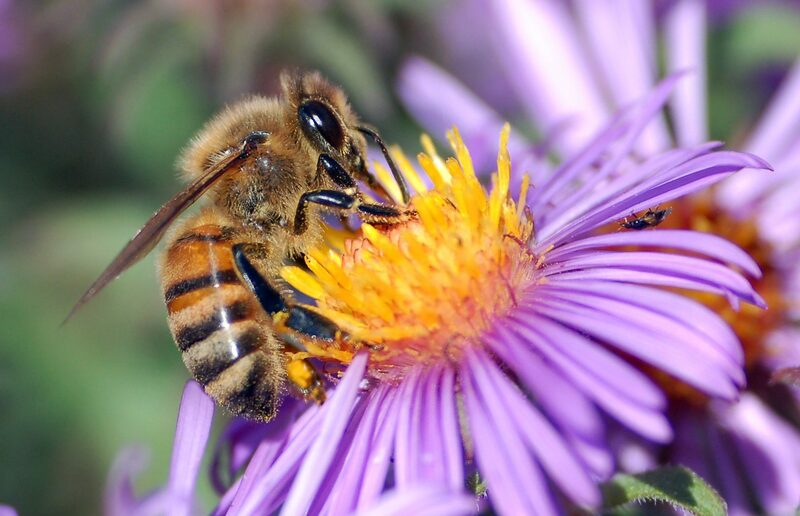 Just in 2010 alone, honeybees and other similar insects contributed approximately $29 billion dollars to the agricultural sector in the United States . Therefore, what makes these pollinators particularly special? Each plant species requires a unique pollinator. While bird or mammalian pollinators are too large, an average colony of 50,000 bees provides a precise efficiency[2,5]. The Forest Service at the United States of Agriculture notes that the unique hairs surrounding many bee species and the honey bees’ attentiveness to each flower allows for massive cross-pollination that cultivates healthy future plant generations . External factors, such as overuse of harmful pesticides, loss of habitat, and parasites have led to colony collapse disorder (CCD). This is when worker bees leave the hive and never return due to either contracting pathogens, being affected by harmful chemicals, or a sudden change in habitat. Eventually, food reserves begin to dwindle and the queen is left to fend for herself, oftentimes dying and causing the hive to completely shutdown. CCD has resulted in some colonies facing up to a seventy to eighty percent loss [2, 7]. Many farmers are out of options as honeybees are struggling to survive due to many of the listed causes. As populations diminish, there can be serious consequences for the agricultural industry. Food production will decline, leading to a drastic loss in revenue, and causing many socioeconomic groups to suffer. A group of Harvard University researchers hope to address this impending problem by providing an automated solution. Harvard’s Wyss Institute has so far mimicked most of nature’s design where it comes to efficient pollinators— with some modifications. As a whole, Robert Wood and his team at the Wyss Institute hope to develop “autonomous micro-aerial vehicles capable of self-contained, self-directed flight and of achieving coordinated behavior in large groups” . The RoboBee will have the potential to pollinate and provide aid to search and rescue missions. To build the robot, the plan has been broken down into three parts: the brain, the body, and the colony. The brain is aimed to be a collection of “smart” sensors that imitate a bee’s eyes and antennae. In addition, the brain is designed to sense and respond dynamically to the environment. The body allows the robotic insects to fly on their own when integrated with a compact power source . So far, the latest model of RoboBee weighs less than a tenth of a gram, and measures at half the size of a paper clip. The overall design of the body has been mostly inspired by the physique of a fly to provide certain aerodynamic attributes. The submillimeter anatomy and two wings allows the instrument to flap its wings 120 times per second to provide hovering, agile steering, and vertical takeoff [8,9]. Three-pronged feet attached to the main component of the body are utilized to collect pollen with accomodations made to carry additional weight . Moreover, researchers have found a way to make the body more robust by allowing the robotic insects to transition between air and water. Using versatile propulsive strategies that can overcome different physical constraints, developers have created lightweight electrolytic plates that produce oxyhydrogen from the water. A sparker is then able to ignite the oxyhydrogen that allows the bees to transition from water to air as the robot is able to impulsively take off . The colony feature in the RoboBee is able to coordinate with other insect robots so that all systems act as a single unit. This is key as bees are most efficient when they work closely with their colony . Papers published by Robert Wood’s team reveals that the end goal is to create colonies that are fully autonomous, although they continue to face lingering problems. There is no doubt that the Wyss team has come a long way in the last ten years. However, the team is facing a new challenge. In the mission to create a tool that is as small as a honeybee, it has become increasingly difficult to “integrate a compact powersource” . The robot is so small that it becomes more susceptible to environmental pressures such as wind, rain and unpredictable circumstances [8,10]. The only way to offset some of the listed issues is through even more power. In the last few years, materials science has come a long way to try and address some of these problems, but researchers working on the project will need a long term and reliable power solution to provide functionality for the intended purpose of pollination. In Robert Wood’s Lab, the RoboBee is only able to work when tethered to an energy source. Wyss researcher Kevin Ma thinks it can be another ten years before we see the RoboBee in action . While the initiative still has a ways to go, many critics of the project have brought another perspective to the idea in the meantime. The end goal behind the RoboBee is not only to supply pollination, but also to provide aid to search and rescue operations, and environmental monitoring. Some say that introducing more technology will not solve problems faced in the agricultural industry . Furthermore, in our quest to patch a problem that has blossomed by many man-made variables, will we become complacent in our fight for environmental conservation and protection? As colony collapse disorder continues to diminish many bee populations, agriculturists may not have any other choice but to rely on RoboBees to tackle our immediate needs in the not so distant future. Thomas, Pat. “Give Bees a Chance.” The Ecologist, The Ecologist, 11 Feb. 2008. Web. “Pollination.” Native Plants and Ecosystem Services, Department of Entomology Native Plants and Ecosystem Services, Michigan State University. Web. Grossman, Elizabeth. “Declining Bee Populations Pose a Threat to Global Agriculture.” Yale E360, Yale School of Forestry & Environmental Studies, 30 Apr. 2013. Web. Ramanujan, Krishna. “Cornell Chronicle.” Insect Pollinators Contribute $29 Billion to U.S. Farm Income, Cornell University, 22 May 2012. Web. Packham, Chris. “Would We Starve without Bees?” BBC IWonder, BBC & The British Beekeepers Association. Web. “Bee Pollination .” Bee Pollination, The United States Department of Agriculture: Forest Service. Web. Schildgen , Bob. “Why Are Honeybees Dying Off?” Sierra Club, 29 Jan. 2018. Chen, Yufeng, et al. “A Biologically Inspired, Flapping-Wing, Hybrid Aerial-Aquatic Microrobot.” Science Robotics, vol. 2, no. 11, 25 Oct. 2017, pp. 1–11., doi:10.1126/scirobotics.aao5619. Wood, Robert. “Autonomous Flying Microrobots (RoboBees).” Wyss Institute, Harvard University, 17 Apr. 2018. Web. Harvard University. “Dive of the RoboBee: Microrobotics lab develops first insect-size robot capable of flying and swimming.” ScienceDaily. ScienceDaily, 21 October 2015. Web. Pearson, Jordan. “Will RoboBees Out-Swarm the Real Ones?” Motherboard, Vice News, 1 May 2014. Web. Binns, Corey. “Robotic Insects Could Pollinate Flowers and Find Disaster Victims.” Popular Science, Popular Science, 17 Dec. 2009. Web. Spector, Dina. “Tiny Flying Robots Are Being Built To Pollinate Crops Instead Of Real Bees.” Business Insider, Business Insider, 7 July 2014.